The soul of Johor Bahru captured in a square that serves as a reminder of the humble beginnings of this thriving, rapidly developing city. 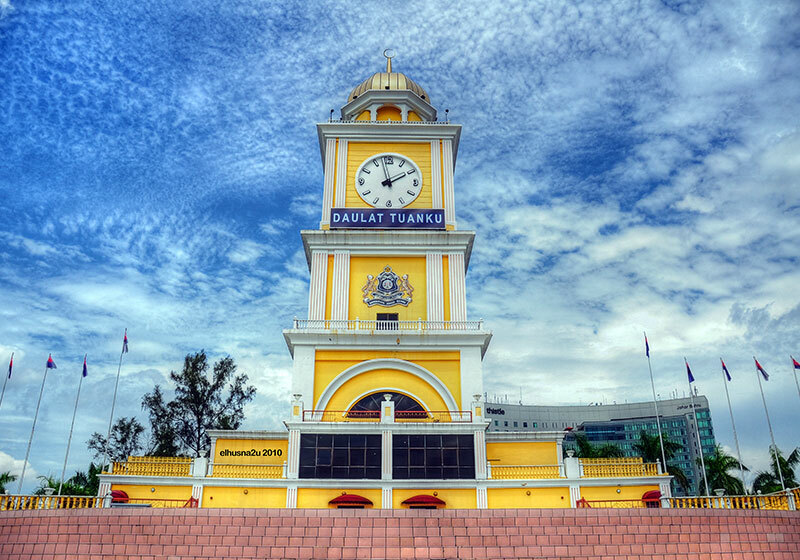 Dataran Bandaraya has been the main square of Johor Bahru since it was declared a city back in December of 1993. The clock tower which stands mightily in the square was erected not long after, and is now an iconic landmark forever etched in the city’s rich heritage. The dataran is now used for large scale official events, with a stage set up just in front of the clock tower. At night, multiple vans set up shop here, making this a great place to have a steamboat dinner. Whenever major football games of the local team are being played, multitudes of fans drop by to watch the match on the big screen that is set up by the stage. Though there has been so much development around Dataran Bandaraya since it was first built, it is one of the few places where you can still feel original spirit of Johor Bahru. Short Description: Dataran Bandaraya Johor Bahru or (Johor Bahru City Square) is the main square in Johor Bahru, Johor, Malaysia. It was built on 1 January 1994 following the declaration of Johor Bahru as a city. The city square features a clock tower which was constructed not long after the opening of the square.